Demoulding after casting concrete into mould. 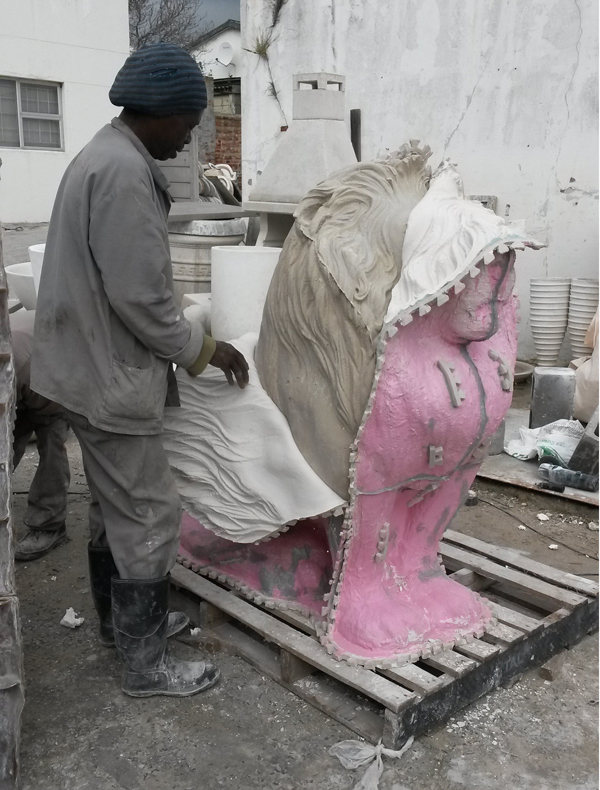 The making of moulds is an integral part of our work at Stonecast. We are therefore able to offer these services to artists and individuals who have the need for a mould but do not have the skills or knowledge of how to produce one. We are able to select the most suitable mould-making material for the job at hand and advise the client accordingly. The appropriate moulding materials will be used according to the the quantity of production required by the client, which of course affects the cost. All the rubbers used for mould making are costly, for instance, and will only be required if many copies are required by the artist / client. Mould-making can be an expensive exercise at the outset, but with the production of items from the mould this cost is reduced considerably. We can also cast the items for the client, should it be required.